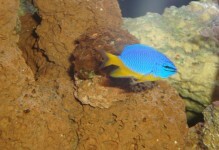 Native to reefs across the Indo-Pacific, Chrysiptera cyaneais usually busy defending a small territory. 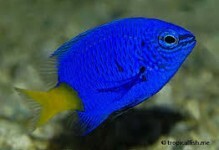 Interestingly, the Blue Damselfish has the ability to hide in a hole or crevice and darken to an almost black color. 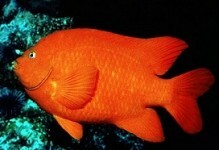 This usually happens when it is threatened. 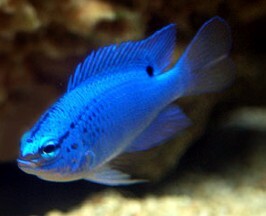 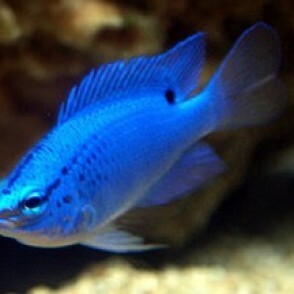 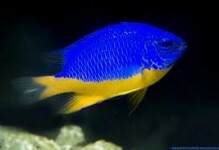 After the perceived threat is gone, the Blue Damselfish will return to its electric blue color in a matter of seconds.